As trail runners like to say when they're in the woods, when a bear's giving chase you only have to be faster than the last guy or gal in the group. That's a joke, of course. Sort of. Ultra runners on Rishiri Island in northern Japan recently completed their event despite confirmation of a bear having been on the island. Footprints and dung had been discovered the week prior, which was unusual due to the location. Rishiri Island is located off the larger island of Hokkaido, which is north of the main island of Japan. 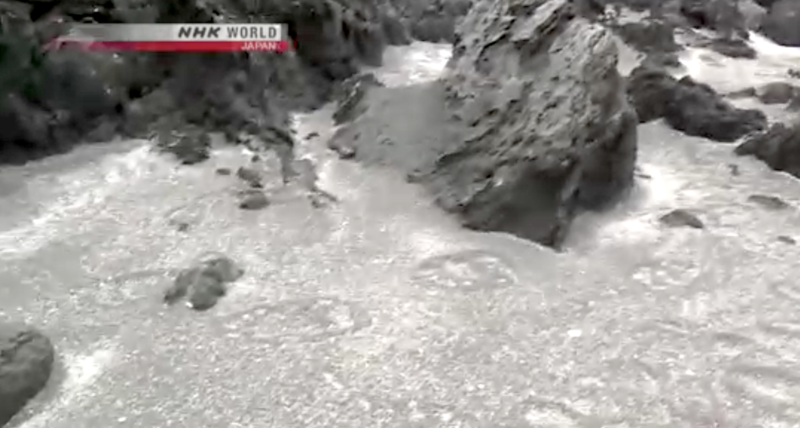 It's believed the bear may have swum to Rishiri, which is known for its inactive volcano and is part of the Rishiri-Rebun-Sarobetsu National Park. Perhaps the bear wasn't in the mood to compete in an ultra so it didn't stick around. If it did stay on the island, it wasn't spotted during the race. Runners carried bells or wore them on their shoes during the race, too. No word on who was last or if they were running backward across the finish line looking for anything in pursuit.